The total contribution margin is equal to the sales minus the variable costs in a period, which could be a month, quarter or year. The profit is equal to the contribution margin minus the fixed costs. Variable costs consist of direct labor and raw materials costs incurred in production. Fixed costs include administrative and marketing overhead costs incurred, regardless of the number of units produced and sold. Companies generally use contribution margin for internal reporting purposes only. 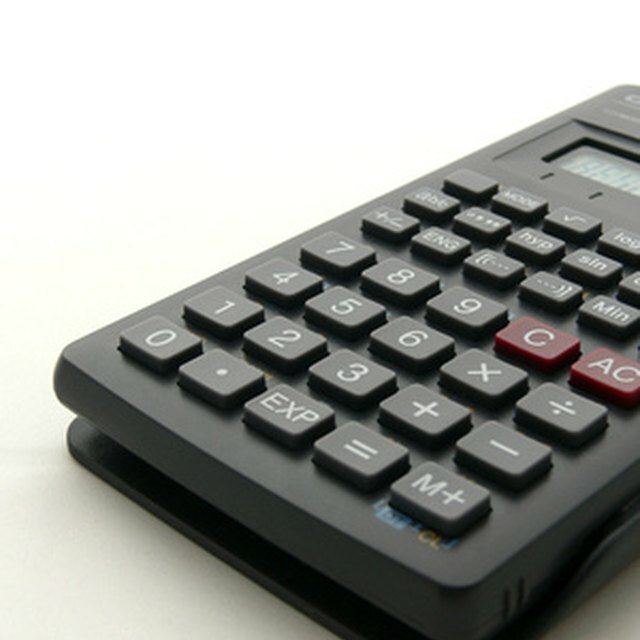 Companies can calculate contribution margin on a total, per-unit or ratio basis. For example, a company with quarterly sales of $1 million and variable costs of $400,000 has a contribution margin of $600,000 ($1 million minus $400,000). If the fixed costs are $200,000, then the net income is $400,000 ($600,000 minus $200,000). This also is an example of a simplified contribution-margin income statement. The per-unit contribution margin is equal to the per-unit sales price divided by the per-unit variable costs. If the company sold 100,000 units in the quarter, then the per-unit sales revenue is $10 ($1 million divided by 100,000) and the per-unit variable costs are $4 ($400,000 divided by 100,000). Therefore, the per-unit contribution margin is $6 ($10 minus $4). The contribution margin ratio is equal to the contribution margin divided by the sales and expressed as a percentage. In the example, the ratio is 60 percent ($6 divided by $10, then the result multiplied by 100). Companies use cost-volume-profit analysis to evaluate how changes in costs and volume affect profitability. The assumptions for this analysis include constant selling prices, and constant variable and fixed costs. Company management can use a cost-volume-profit analysis to determine the sales level required to meet a net income target. The contribution margin is equal to the net income target plus fixed costs, and the required sales revenue is equal to the contribution margin divided by the contribution margin ratio. Continuing with the example, if management sets a net income target of $425,000, then the contribution margin is $625,000 ($425,000 plus $200,000) and the required sales revenue is $1,041,667 ($625,000 divided by 60 percent). Companies can use a cost-volume-profit analysis to calculate the break-even point. Break-even occurs when the contribution margin is just enough to cover the fixed costs. The break-even sales point in dollars is equal to the fixed costs divided by the contribution margin ratio; and the break-even sales point in units is equal to the fixed costs divided by the per-unit contribution margin. In the example, the break-even sales point is about $333,333 ($200,000 divided by 60 percent) and about 33,333 units ($200,000 divided by $6). Therefore, the company makes a profit when it sells more than 33,333 units. According to the Accounting Tools website, companies use the contribution margin information to decide whether and when to reduce selling prices and still make a profit. Management uses contribution margin to compare different products and possibly discontinue those that are not generating enough profits for the company.